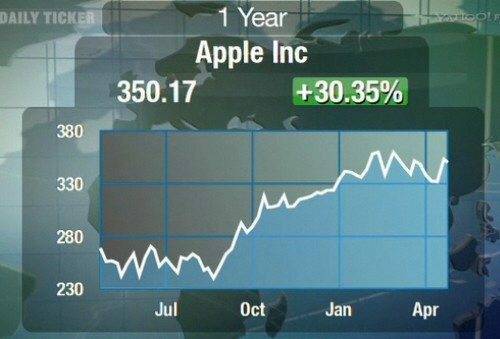 Well now no doubt we all know Apple is doing rather well thanks to the iPhone and their iOS tablets along with other Apple gear, but just how well is the company doing? Well apparently the word is Apple is set to become the world’s first trillion-dollar company. According to an article over on the Boy Genius Report by way of Business Insider, James Altucher of Formula Capital believes that Apple will not only become the world’s first trillion-dollar company but could eventually be worth a staggering $2 to $3 trillion. Apparently Altucher believes Apple iPad 2 demand will continue to grow while the release of the iPhone 5 along with an Apple iPad 3 may send demand for Apple gear sky high, and further states that the eventual departure of Steve Jobs will not have any significant impact of the company. Apple’s currently worth roughly $320 billion, which basically means that Apple stock would have to jump to about a 1000 bucks per share to hit that huge trillion mark. However for those interested in the worth of Apple we have a video report for your viewing pleasure below where Altucher discusses his views on the matter, so check it out…enjoy.